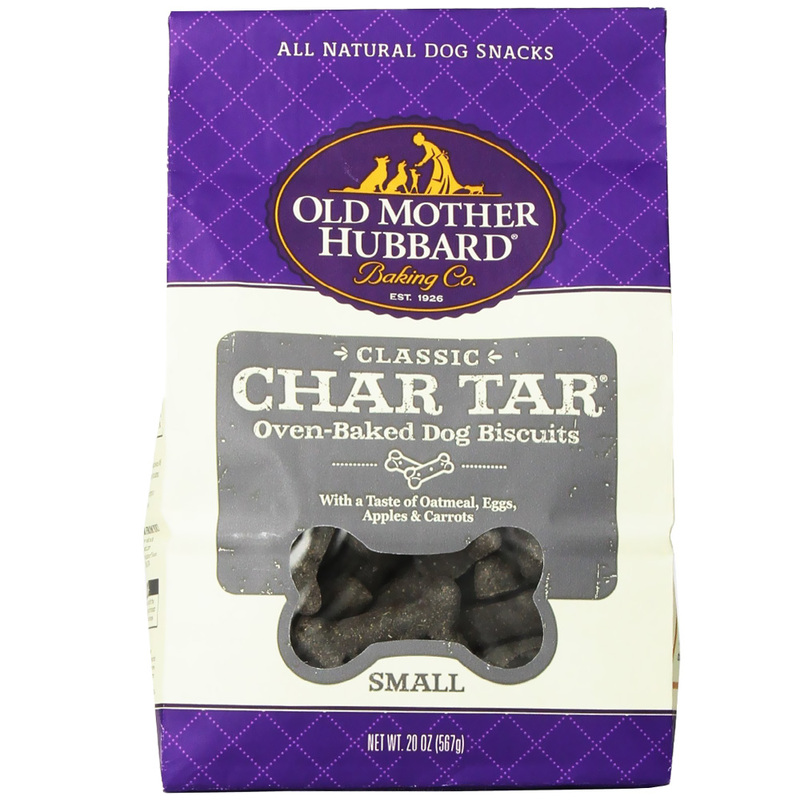 New Product 2015 - Old Mother Hubbard Char Tar Biscuits | Barks and Recreation Pet Services in Trail, British Columbia. Old Mother Hubbard’s Classic Char Tar bone-shaped biscuits are oven-baked and flavored with Charcoal and a taste of Eggs, Apples & Carrots. Special ingredients like charcoal and garlic to aid in digestion. Old Mother Hubbard snacks are a wholesome and delicious way to say “good dog”! Whole Wheat Flour, Oatmeal, Wheat Bran, Chicken Fat (preserved with Mixed Tocopherols, a natural source of Vitamin E), Chicken, Bone Charcoal, Cane Molasses, Eggs, Apples, Carrots, Garlic, Salt, Mixed Tocopherols (a natural preservative).